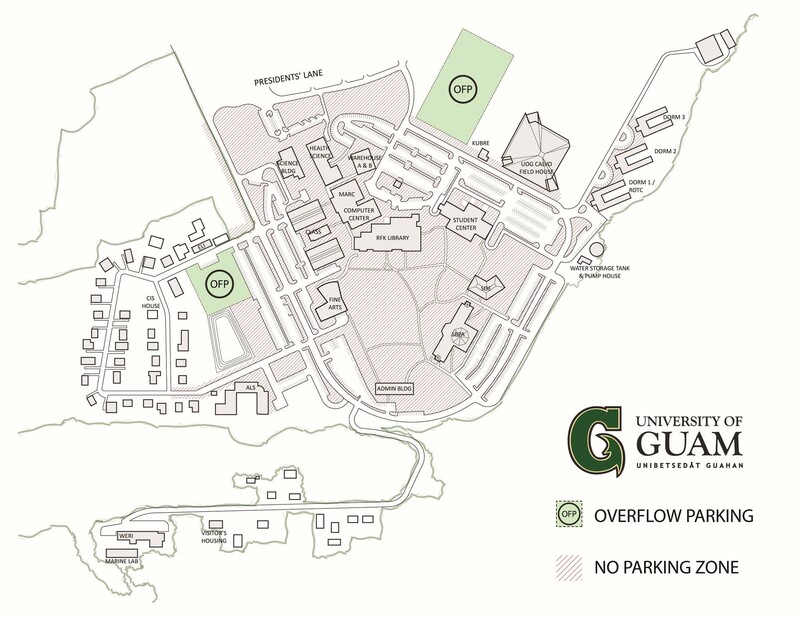 To better serve students, faculty, and staff, the University of Guam has created two overflow parking areas. The areas are located near the Calvo Field House and Dean’s Circle and provide 700+ spaces for those commuting to campus. The UOG Board of Regents has also adopted a new parking policy on July 16. All persons must use clearly marked parking spaces within a designated parking or overflow parking area to prevent vehicles from being ticketed and/or towed at the owner’s expense. The registered owner of the vehicle can expect to be charged between $150 - $200 for towing cost and between $10 - $15 per day for storage fee.